We all like high-end devices, but it’s the mid-range where really great deals sit, waiting for you to find them. Sacrificing small bits of performance for huge chunks of price is what the majority of people tries to do and here’s the deal for them this Christmas. Surprising as it may sound, given their rough year of very few announcement and sales decline, it’s LG who snatched this one. The Optimus One P500 is the smartphone that the market has desperately needed for at least a year now. With okayish HVGA resolution, a capacitive multi-touch display, an auto-focus camera and Froyo, the latest by Android so far, it makes up for an extremely powerful combo on paper. The real great news is that the LG Optimus One performance cashes the checks that its specs sheet writes. You just cannot go wrong with this one. Sometimes a device that fits in your pocket is worth more than one that can do all but the dishes. A compact smartphone is where those two meet and even though there are compromises on both sides, market numbers shows that there’s plenty of demand for such devices. Our favorite here is the Eclair-tasting Sony Ericsson XPERIA X10 mini. The lovable little fella has its UI specifically redesigned, so its smaller screen doesn’t turn into a usability concern and decent muscle under the hood. Sure, it only has QVGA screen, but that’s basically all that is wrong about it. After all the XPERIA X10 mini front plate measures only 83 x 50mm, which less than a box of cigarettes. 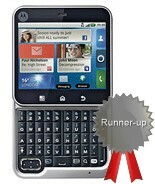 If you want faster texting (assuming your fingers aren’t too big) you could also check out the Motorola FlipOut. At 67 x 67mm the device really managed to win our hearts when it came by for a review and that QWERTY keyboard is surprisingly comfortable to use. Alternatively if screen resolution really is an issue for you, check out the Nokia C6-01. Its ClearBlack display fared pretty well in our display mega shootout and if it wasn’t for its weight we would have probably placed it top of this category. 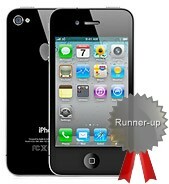 No matter that we like our gadgets nice and solid, 131g don’t feel right on a compact device such as this one. Next up is video recording, which is again dominated by the Nokia imaging flagship N8. Its wide-angle lens, innovative digital zooming and great adaptability just don’t give its opponents a change to fight for the title here. Color rendering is also good and if they could just release an official update that adds the continuous auto-focus that has been enabled by the hacker community, it would be nearing perfection. You could also consider the iPhone 4 – it took Apple four generations but the camera finally became a key selling point, rather than a crippled side feature. And despite a few issues such as the white balance, the oversaturation and the too narrow field-of-view in video mode, the fact that it offers the most resolved detail of all devices in the market is enough to secure it the second spot in the video recording category. 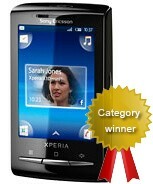 The other alternative to those that decide to pass on the N8 is the Sony Ericsson XPERIA X10. It’s Eclair update brought high-quality 720p videos and continuous focus, making it only the second smartphone to boast such camcorder specs (the first also being a handset by Sony Ericsson).